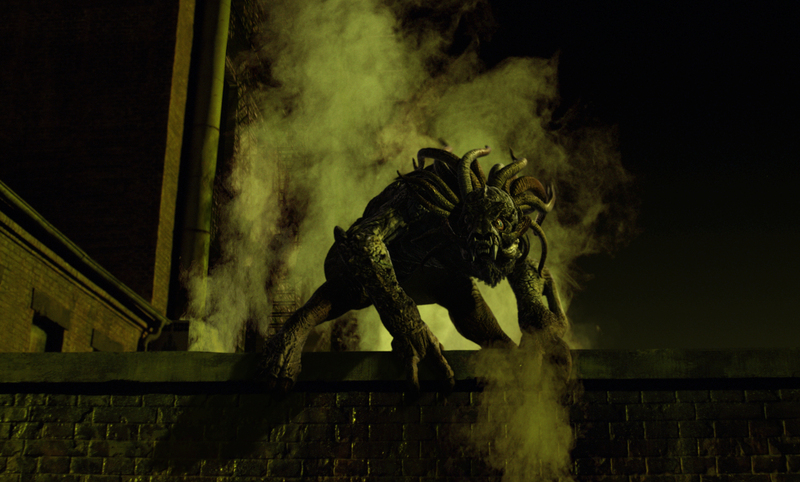 On Tippett’s second collaboration with Guillermo del Toro, the team designed, modeled and animated the Hellhound Sammael, the amphibious humanoid Abe Sapien, and the Behemoth, the many-tentacled, Cthulu-like big bad Hellboy battles in the film’s climactic scene. A visual effects-heavy show, Hellboy required the creation of multiple characters as well as complex effects and fight-heavy animation. Each of the creatures that made up this motley crew of monsters had different design and animation requirements. Abe Sapien’s underwater scenes required one kind of animation, while Hellboy’s climactic battle with the colossal Behemoth demanded another. For Sammael, del Toro specifically requested that the animation be powerful but fluid, with a choreographed quality reminiscent of Ray Harryhausen’s stop motion animations. Our team of animators drew upon their own love of Harryhausen’s work and created a powerful performance for Sammael. Tippett Studio earned a nomination for a Visual Effects Society award in the category of Outstanding Character Animation.